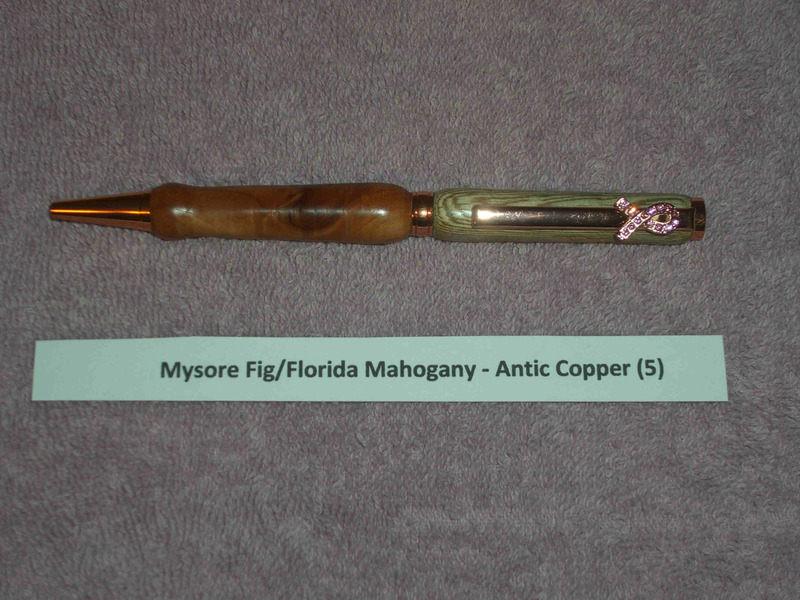 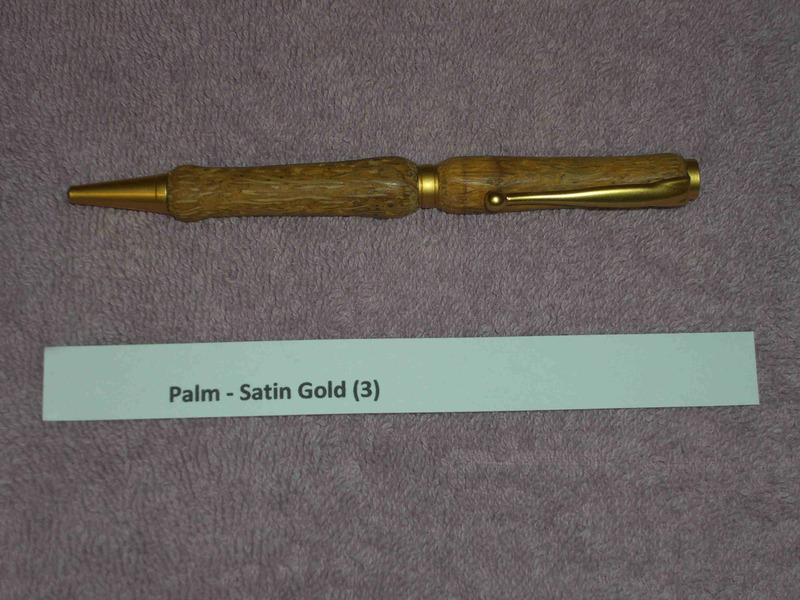 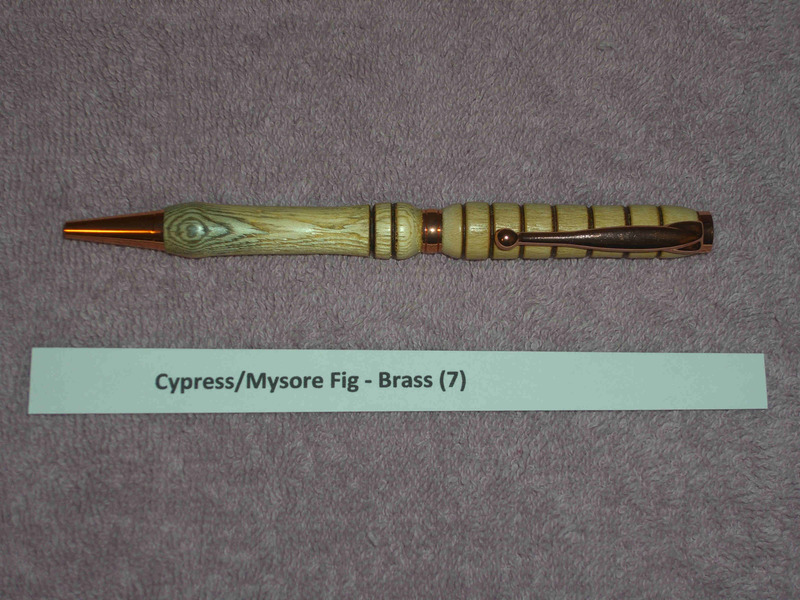 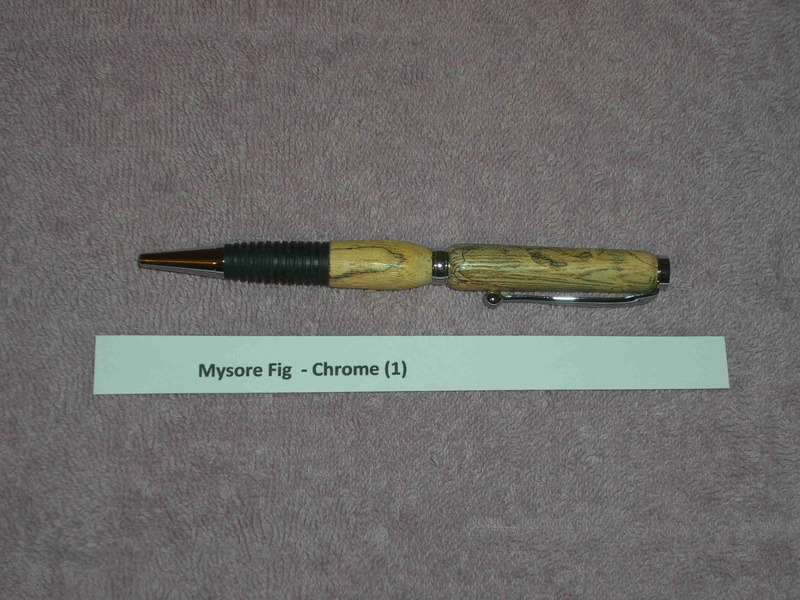 These pens are each handmade from wood of the Florida's State Champion Mysore Fig Tree and other woods. 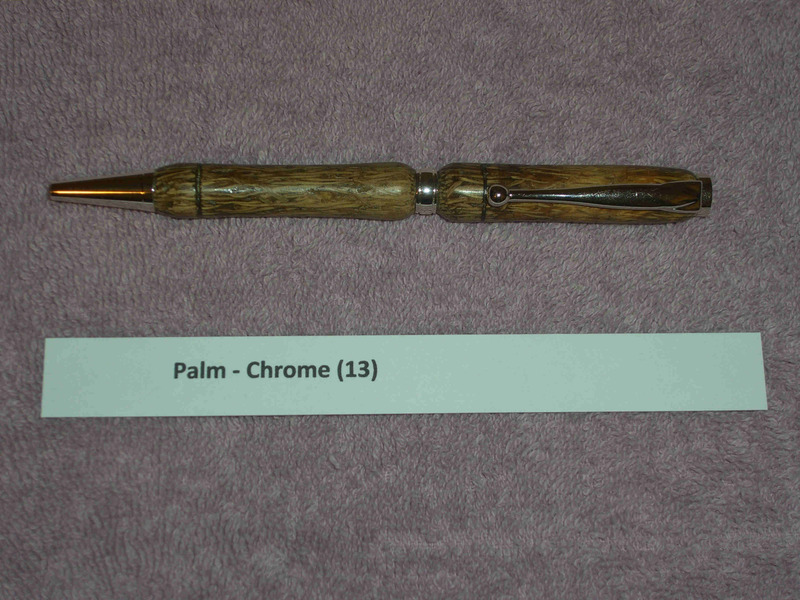 The pens are each made differently using assorted woods and fittings but all use Cross inserts. 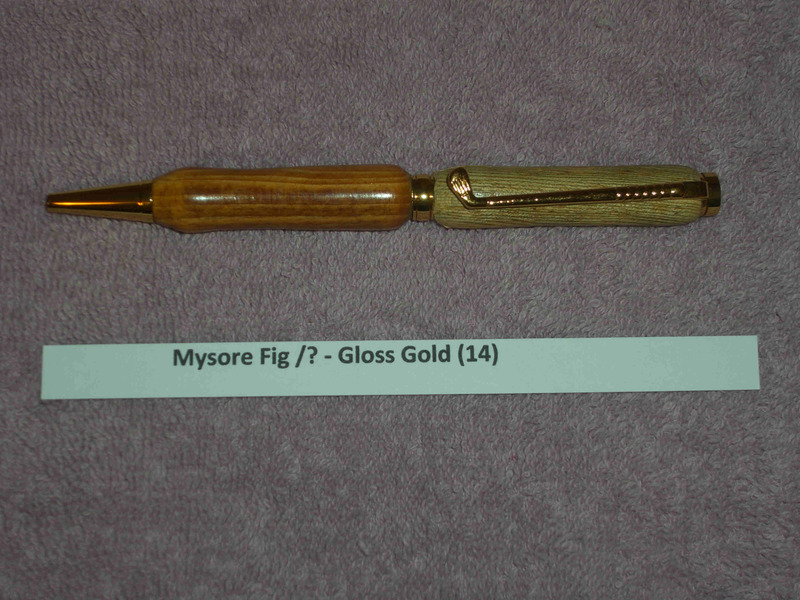 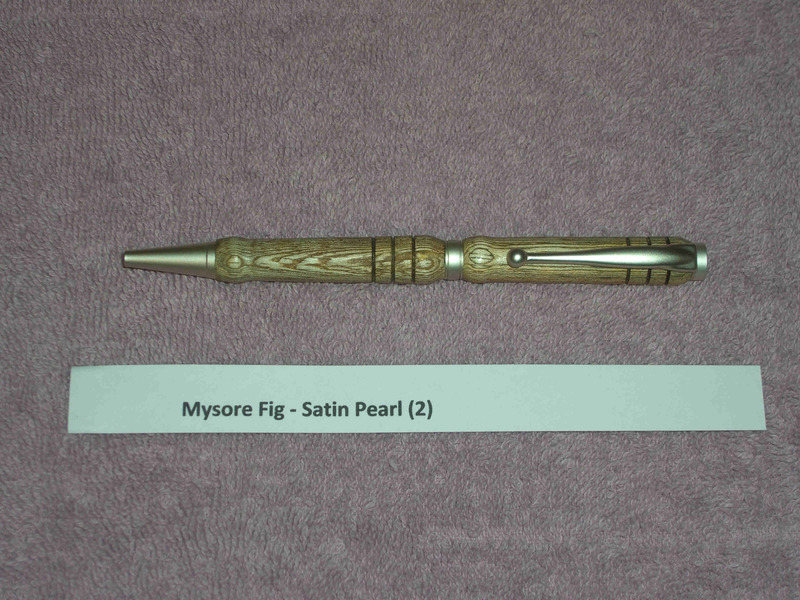 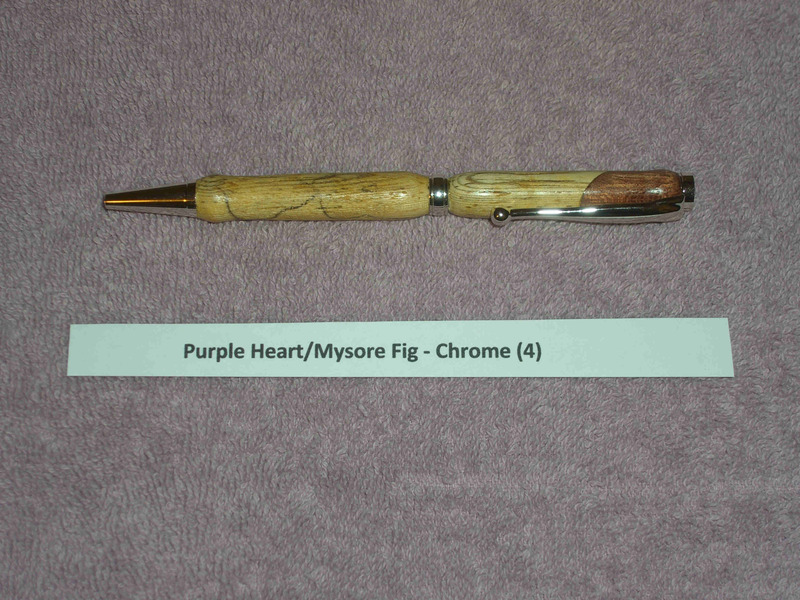 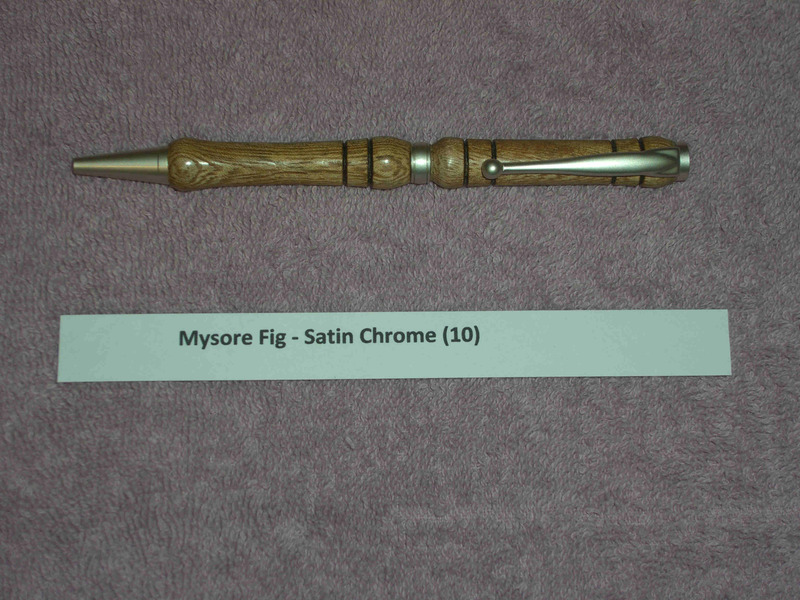 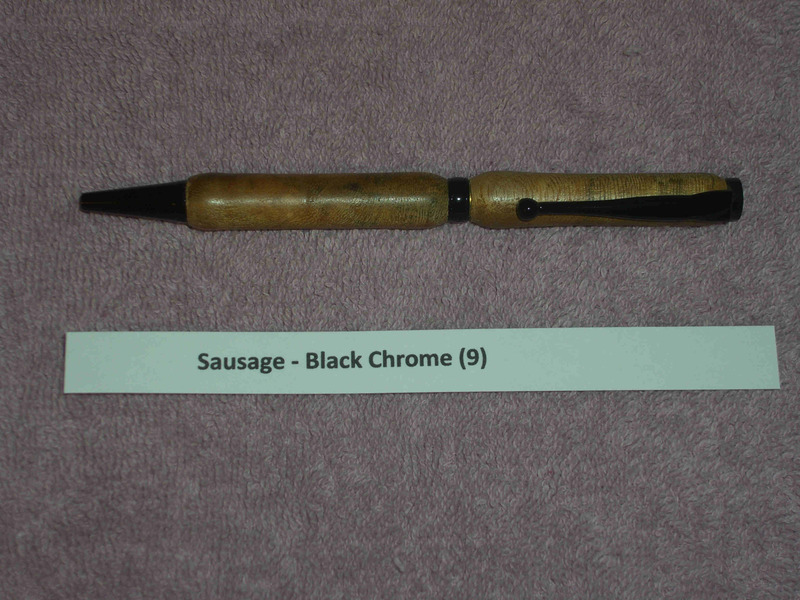 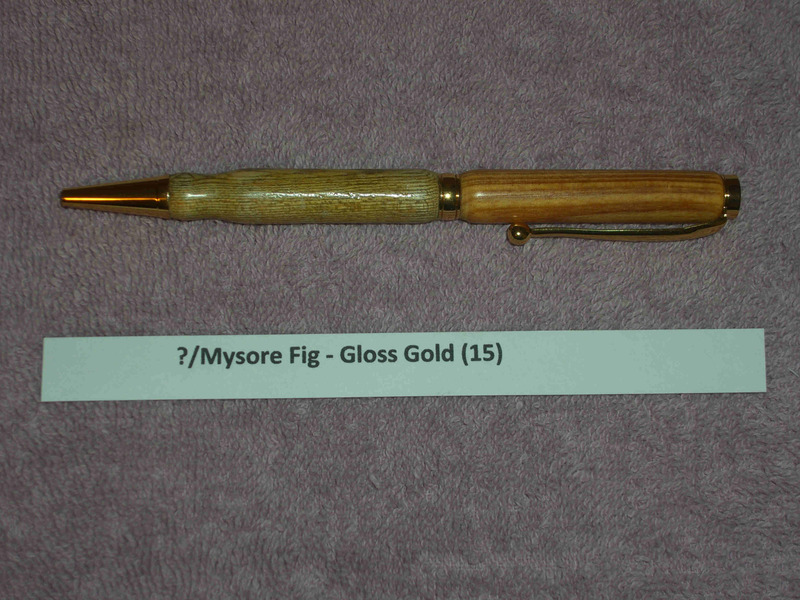 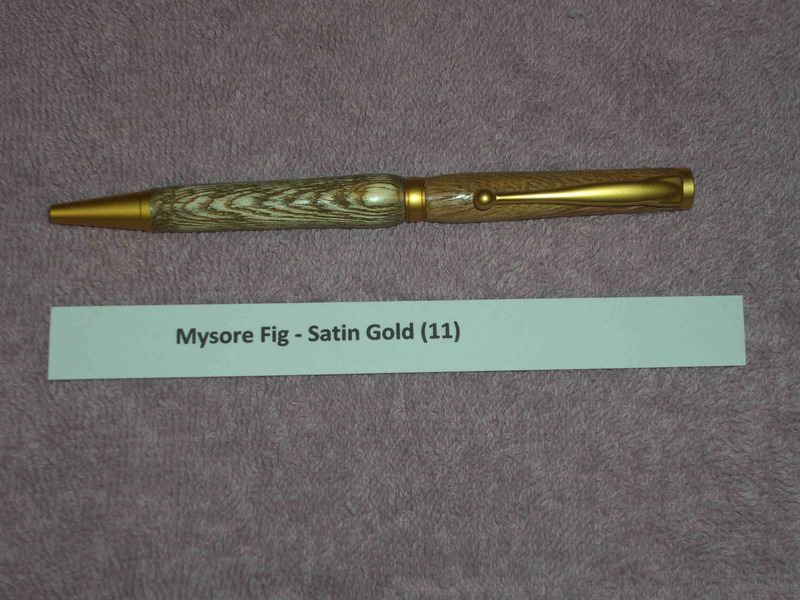 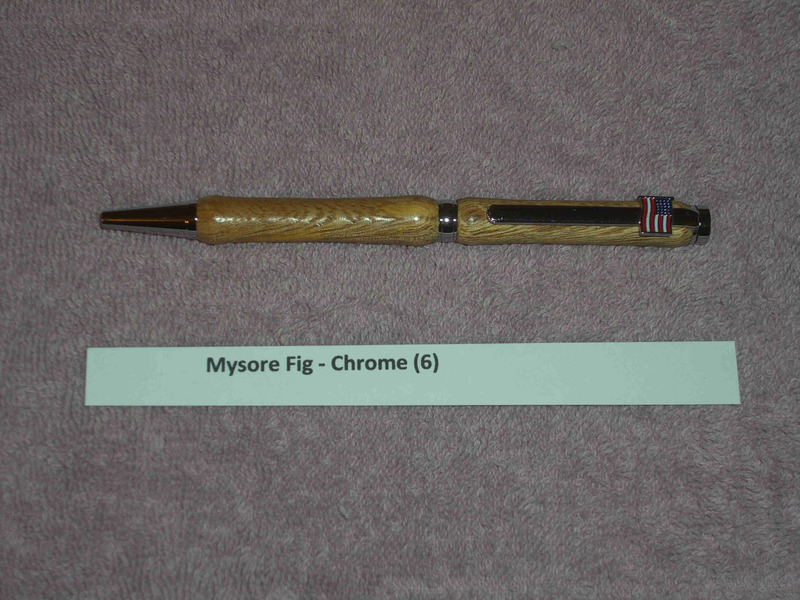 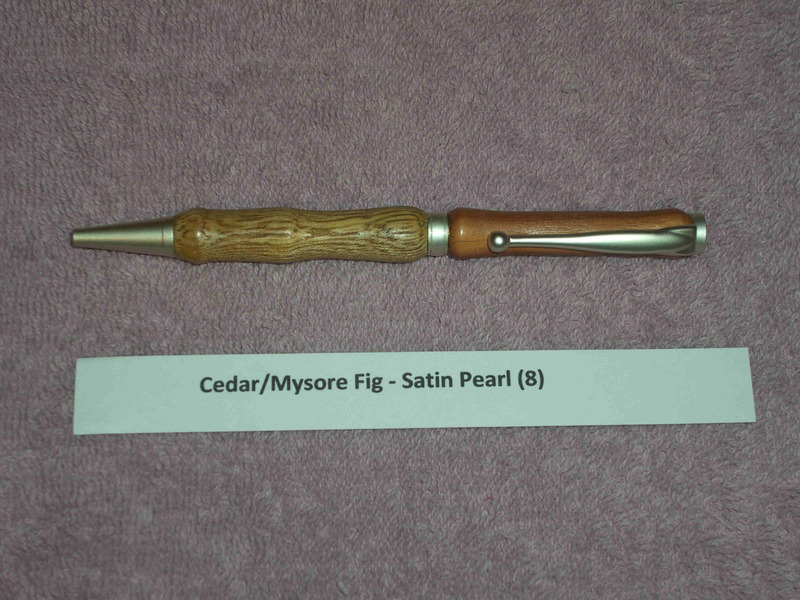 The types of wood will be listed with each pen available but since not all are made from Mysore Fig Tree wood there will not be any certificates of authenticity given.